PIERBURG 7.22880.00. PIERBURG 7.22880.00.0. PIERBURG 7.22880.01. PIERBURG 7.22880.06. PIERBURG 72288000. PIERBURG 722880000. PIERBURG 72288001. PIERBURG 722880010. Costruito secondi i più alti standard e le specifiche tecniche della turbina originale. AUDI Q7 3.0 TDI. PORSCHE CAYENNE 3.0 TDI. 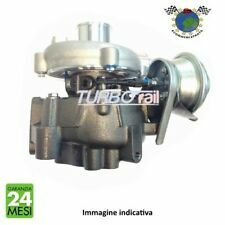 Disponibili i coreassy per tutti i tipi di auto. AUDI Q5 3.0 TDI. AUDI A5 3.0 TDI. Unison Ring x1. Unison Roller x3. Nozzle ring x 1. TURBO REBUILD CANNOT BE HELD RESPONSIBLE FOR INCORRECTLY ORDERED NOZZLE RING. Porsche (Casa) inc. Cayenne 3.0D. Audi (CASA, CCMA, CYDA, CDYC) inc.
GARRETT GTB2260VK. CONTENTS:1x Nozzle Ring Cage. VEHICLES FITTED WITH THIS NOZZLE RING CAGE Porsche Cayenne. Volkswagen Phaeton. Volkswagen Touareg. VEHICLE OE NUMBER. Fitted with a 56 mm exit #6 Audi turbine housing. 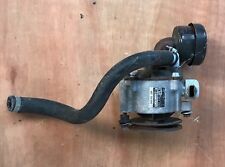 This turbo is in exceptional condition and the turbine housing will be supplied fitted with new downpipe studs, it is crack free. TURBO COMPRESSORE TURBINA NUOVA E REVISIONATA. TDI/TOUAREG TDI". SPRINTER 515 CDI". SPRINTER 415 CDI. SPRINTER 315 CDI. G-276 759688-0006 -- -- --. 2 x FMAC996 Actuator. This product is assembled with springs suitable for at or slightly above factory boost levels. 1 x Forge Sticker. 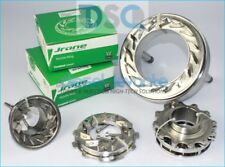 We also have products manufactured for ourselves and these are made to the highest standards. PER INFOMAZIONI 3272540806 (dalle 8:00 alle 19:00) Dario ASSISTENZA TECNICA. 0773250099 (dalle 9:00 alle 18:30) UFFICIO. Codice OE Costruttore: 059145874L., CONTRASSEGNO, BONIFICO. 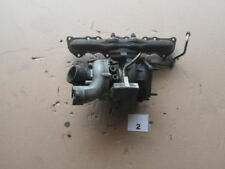 Twin Turbo Actuators for Porsche 996 and GT2. This product is assembled with springs suitable for at or slightly above factory boost levels. All Forge Motorsport actuators are hand polished and made in the UK. 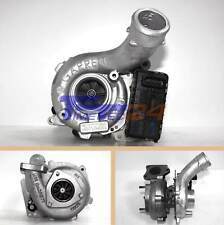 Turbolader Audi Porsche VW A6 A6 Avant Q7 Cayenne Phaeton Touareg 4F2 C6 3.0 TDI quattro 4F5 C6 3.0 TDI quattro 4L 3.0 TDI 3.0 Diesel 955 3.0 TDI 3D_ 3.0 V6 TDI 4motion 7LA 7L6 7L7 3.0 TDI 7LA 7L6 7L7 3.0 V6 TDI 7P5 3.0 V6. 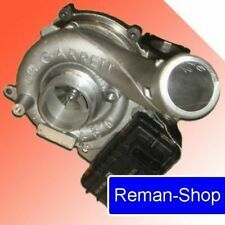 Forge WASTEGATE pressione dosi KIT (2st). PORSCHE 996 + gt2 BI TURBO la merce in magazzino!!! Die verbaute Feder entspricht der originalen. Es können aber bei Tuningfahrzeugen verstärkte Federn (T2) nachgerüstet werden, da die Druckdosen zerlegbar sind. Forge Motorsport Druckdosen fahrzeugspezifisch. Porsche 924 Turbo 170hp 1980-. Suppliers And Re-Manufacturers For The Public & Trade Since 1989.